The Country Club of Detroit, located in Grosse Pointe Farms, Michigan, recently completed a major restoration of their Golf Course. Noted course designer Tom Doak, was asked to restore the golf course back to its original design that was done by Henry Colt. In doing this major course restoration many of the trees were moved, or removed. The Club wanted to recognize the many members who have donated trees to the Golf Course over the past fifty years. Some of these trees, in time had been removed, and some were not needed in the newly lengthened championship redesign. A Donor Recognition Plaque was created that recognized and celebrated their generous efforts over the past fifty years to help beautify the Golf Course. 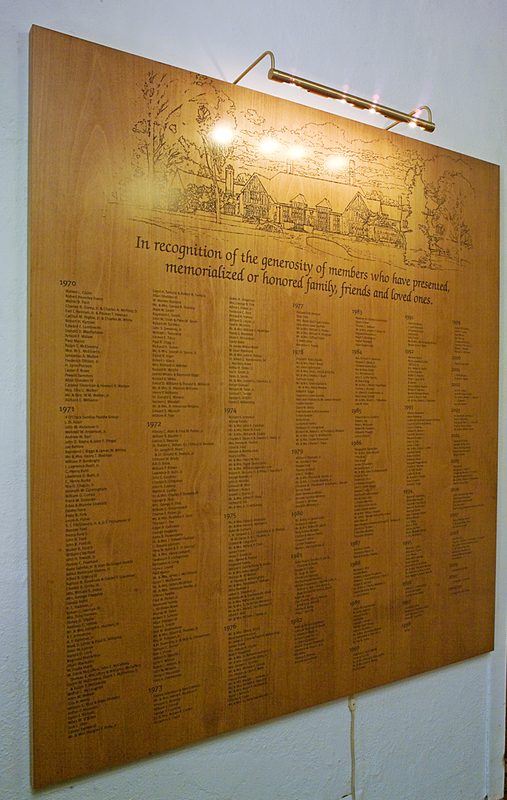 Over 650 names were recognized and used to create this large solid wood recognition display.